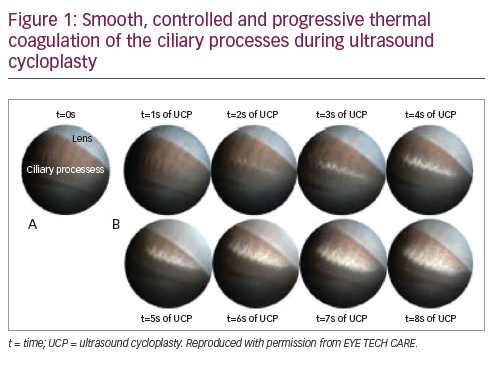 Ultrasound cycloplasty (UCP) is a technique that utilises high-intensity focused ultrasound to provide controlled and smooth thermal coagulation of the ciliary body and has been shown to be effective at reducing intraocular pressure (IOP) in patients with advanced or refractory glaucoma. Evidence from recent clinical studies has also shown that UCP is an effective treatment for IOP in surgery-naive patients with glaucoma as well as early-to-moderate glaucoma, with one study (NCT02789293) reporting a 65% responder rate at 12 months post operation, a mean IOP reduction in responders of 37% and a favourable safety profile with a low incidence (<2%) of vision-threatening complications. Because UCP is a non-invasive and less destructive method of reducing IOP compared with the traditional cyclo-destructive techniques, multiple treatments can also be performed on the same patient to increase the likelihood of treatment success without increasing the risk of complications. 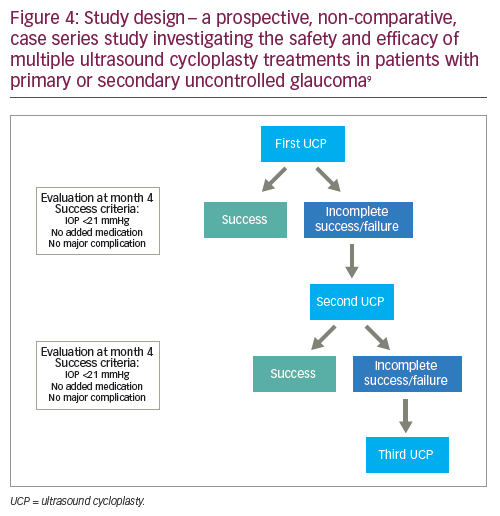 This new clinical evidence provides a rationale for changing the glaucoma clinical care pathway, as UCP may be a viable therapeutic option in patients with moderate-stage/non-refractory glaucoma. Looking to the future, UCP could form part of personalised medicine strategies to optimise patient outcomes. Marco Nardi wishes to disclose relationships with Alcon, Allergan, Bayer, EYE TECH CARE, Novartis and Santen. Philippe Denis wishes to disclose relationships with Alcon, Allergan, EYE TECH CARE, Novartis, Santen and Théa. Ingeborg Stalmans wishes to disclose relationships with Aerie, Alcon, Allergan, EYE TECH CARE, Santen and Théa. Luís Abegão Pinto is a consultant for Allergan, EYE TECH CARE, NIDEK and Théa. Simonetta Morselli is a consultant for Bausch & Lomb, Allergan, Théa and Alcon. Alessandra De Gregorio has nothing to declare in relation to this article. 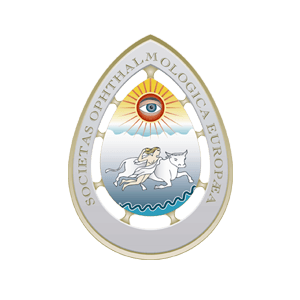 This article reports the proceedings of a sponsored satellite symposium held at the European Glaucoma Society meeting in Florence, Italy, 19–22 May 2018, and as such has not been subject to the journal’s usual peer-review process. The report was reviewed for scientific accuracy by the symposium speakers and editorial board before publication. This publication of this article was supported by EYE TECH CARE, who were given the opportunity to review the article for scientific accuracy before submission. 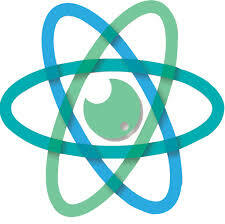 Any resulting changes were made at the expert reviewers’ discretion. 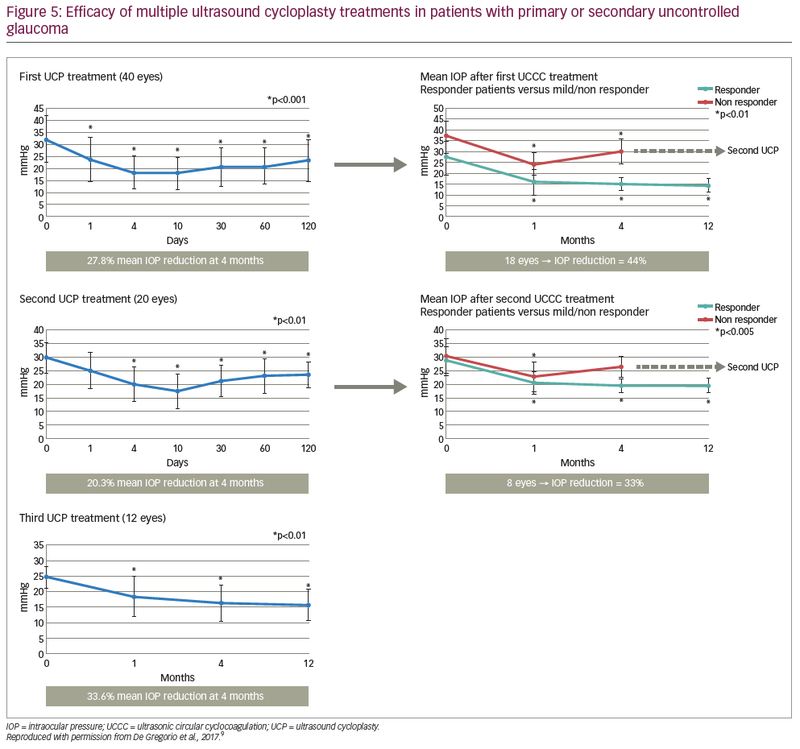 Recently, the results of a 12-month, prospective, multicentre European clinical study of UCP in surgery-naive patients with glaucoma (NCT02789293)6 have been made available and show promising efficacy and safety data, consistent with earlier studies.1–5 Given this, it is time to discuss and reconsider the positioning of UCP in the clinical care pathway for glaucoma, potentially incorporating it as a treatment option for earlier stage/non-refractory disease. 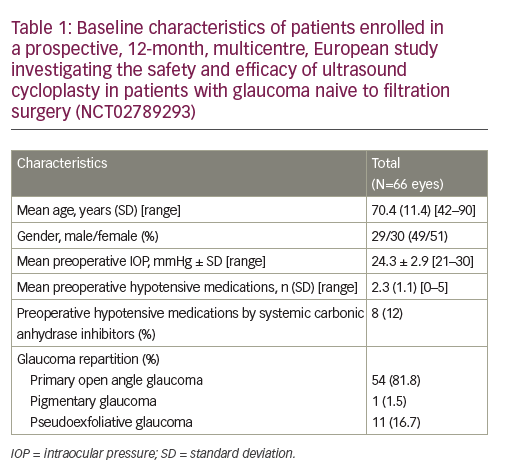 Here we present new clinical study data on the use of UCP in patients with glaucoma, including those from the European clinical study in surgery-naive patients, and discuss the implications of these findings for clinical practice. Ultrasound Cycloplasty – What is the Mechanism of Action? In addition, UCP can be considered for the reduction of IOP in patients with non-refractory glaucoma.2,13 Here we present the results of a prospective, 12-month, multicentre, European study conducted in four university hospital centres in Belgium, Portugal, Israel and Italy to investigate the safety and efficacy of UCP in patients with glaucoma naive to filtration surgery (NCT02789293).6Overall, 59 patients were enrolled in the study and UCP was performed in 66 eyes. 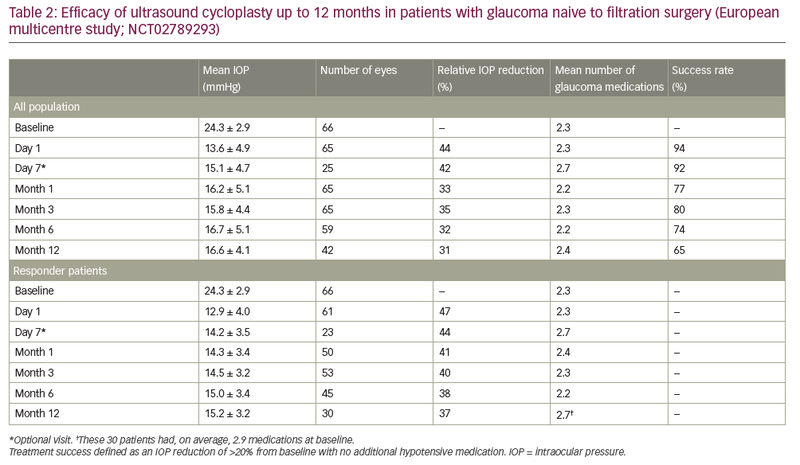 Baseline characteristics are summarised in Table 1; the large majority of patients had primary open angle glaucoma(n = 54 [81.8%]), the mean baseline IOP was 24.3 ± 2.9 mmHg, and the mean number of preoperative hypotensive medications used was2.3 ± 1.1 per patient. Following a single UCP treatment, patients were assessed at day 1, day 7 and at 1, 3, 6 and 12 months.After 12 months, the mean IOP reduction for all patients was 31% (mean IOP: 16.6 ± 4.1 mmHg), the response rate was 65% (defined as an IOP reduction of >20% from baseline with no additional hypotensive medication; Table 2) and the mean IOP reduction for responders was 37% (mean IOP: 15.2 ± 3.2 mmHg). In addition, 76% and 62% of eyes had an IOP of <21 mmHg and <18 mmHg, respectively, at 12 months. Throughout the study the mean number of hypotensive medications used remained broadly consistent (range: 2.2–2.7 per patient). Overall, the safety profile of the UCP procedure was favourable. 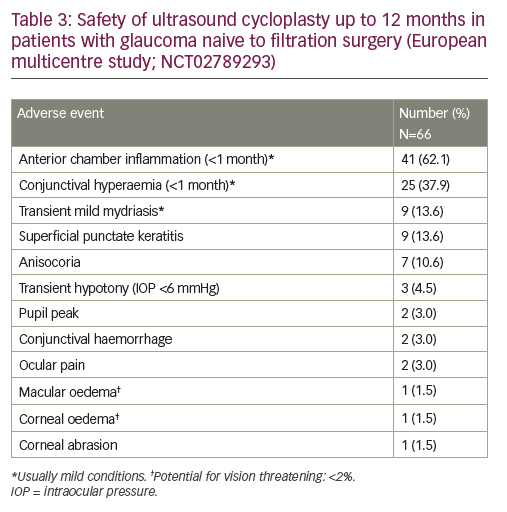 Post-operative adverse events were predominantly mild and transient, most commonly anterior chamber inflammation (occurring <1 month after the procedure; n=41 [62.1%]), conjunctival hyperaemia (<1 month; n=25 [37.9%]), transient mild mydriasis (n=9 [13.6%]), and superficial punctate keratitis (n=9 [13.6%]; Table 3). There were few vision-threatening complications, which were largely transient; transient hypotony occurred in three patients (4.5%) and macular oedema in one (1.5%). Visual acuity was maintained at both 6 months and 12 months post operation, with no significant differencesin best-corrected visual acuity (BCVA) values compared with baseline (6 months versus baseline: 0.404 versus 0.328, p=0.136; 12 months versus baseline: 0.301 versus 0.220, p=0.379), and no major BCVA change (a decrease of >1 line) in 86% of patients at 12 months. Recently, other clinical studies have also been published showing 12-month data for the use of UCP in the treatment of glaucoma.9,14 Consistent with the results presented here, these studies show that UCP has a good efficacy and safety profile, with responder rates up to 75% at 12 months and an average IOP reduction of 30–35% from baseline.9,14 While UCP was initially considered only in patients with refractory or advanced glaucoma, the clinical data now available (especially in surgery-naive patients) indicate that UCP may be a viable option for early-stage patients, and could be included as part of personalised medicine strategies in the future. Complications – What is the Reality? UCP has established efficacy, with up to 75% of patients responding to treatment after 12 months with an average IOP lowering effect of 30–35%.9,14 In addition, UCP provides the option of stitchless surgery, and thereby a quick overall recovery (typically ~1-day of mild post-operative discomfort) for the patient. The UCP procedure itself is non invasive, reproducible and simple, with a short and user-friendly learning curve, and can be completed within 10–15 minutes (with ~3 minutes of actual operating time). These benefits are reflected in the growing interest in the procedure. As such, establishing the safety profile of UCP and the risk factors for potential complications is of key importance, providing both surgeons and patients alike with greater insights into what to expect from UCP and how and when it is best to be performed. In relation to post-operative pupil events (e.g., transient mild mydriasis, anisocoria or pupil peak), while these rarely lead to complaints from the patient, there may be specific risk factors that could predict the likelihood of these events occurring. Potential causes might include: (i) incorrect centration or probe sizing; (ii) Urretz Zavalia Syndrome (as seen during penetrating keratoplasty surgery);16 (iii) perioperative mydriasis; or (iv) an intraoperative increase in IOP. To investigate potential ocular risk factors and assess prophylactic options, a pupillometry sub-study was conducted within the 12-month European study (NCT02789293). In patients enrolled at the Leuven (Belgium) or Santa Maria (Portugal) University Hospitals, pupil dynamics were assessed using an infra-red pupillometer (Plusoptix®S04; Plusoptix, Georgia, USA) at various post-operative timepoints (day 1, 1 month, 3 months and 6 months). Exclusion criteria for the sub-study included previous trabeculectomy, uveitis, diabetes or another autonomic nervous system disorder, severe ametropia or an inability to fixate on the target during pupillometry. Of the 16 patients eligible for the sub-study, 10 (62.5%) were female, the mean age was 69 ± 11 years, the mean BCVA was 0.16 ± 3.0 logMar, the mean IOP was 23.6 ± 3.0 mmHg, and the mean number of hypotensive drugs used was 2.4 ± 1.3 per eye. During each pupillometry assessment, the vertical and horizontal diameter of the pupil under mesoscopic (1 cd/m2) and scotopic (0.1 cd/m2) conditions (using a pupil change threshold of 20%) were assessed. After 1 month, pupillometry data showed that there was a significant difference in light–dark pupil response compared with baseline (pupil diameter difference: 0.03 ± 0.34 versus 0.38 ± 0.30 mm, respectively; p=0.01), indicating hypomobility of the iris. However, after 3 months and 6 months the iris mobility had returned to near-baseline levels(pupil diameter difference: 0.28 ± 0.49 and 0.23 ± 0.41 mm, respectively; both p>0.1), suggesting the effect to be transient. Visual acuity appeared unrelated to iris mobility, with BCVA values similar to baseline through months 1–6 (range: 0.17–0.23 logMar; all p>0.05). Analysis of thevertical/horizontal ratios of the pupils showed that they were round, indicating that there was no corectopia due to errors in centration or probe sizing. Also, neither univariate nor multivariate analysis of any of the ocular parameters studied was associated with an increased chance of an altered pupil response. As such, it is not currently possible to select patients based on ocular characteristics to provide pupil-effect-free UCP procedures. In conclusion, UCP is an effective IOP-lowering procedure with a favourable safety profile and few vision-threatening complications. In some cases, it may induce a transient mild mydriasis immediately following the procedure, but this does not substantially impact visual acuity and the condition will typically resolve without additional treatment in a few months. Multiple Treatments – Why, When and How to Re-treat? Here we present the results of a prospective, non-comparative, case series study investigating the safety and efficacy of multiple UCP treatments in patients with primary or secondary uncontrolled glaucoma.9 In total, 40 patients were enrolled in the study, the mean age was 71.8 ± 13.6 years, 20 (50%) were female, 17 (42.5%) had received previous filtering surgery, the majority had primary open angle glaucoma (n=14 [35.0%]), exfoliative glaucoma (n=12 [30.0%]) or neovascular glaucoma (n=8 [20.0%]), and the mean preoperative IOP at baseline was32.5 ± 9.9 mmHg.9 UCP was performed on 40 eyes; if the first treatment was successful (defined as an IOP of ≤21 mmHg 4 months after the procedure), then no further UCP procedures were performed. If the IOP was >21 mmHg after 4 months, then a second UCP procedure was performed without rotating the probe (as has been carried out in a previous 12-month prospective study).3,9 This was to ensure the same area was targeted as per the first procedure and account for any potential regeneration of the epithelium, even if partial, on the ciliary body.9 The same process was then repeated if a third UCP procedure was required after another 4 months (Figure 4). In conclusion, multiple UCP treatments increase the overall efficacy of the procedure, without increasing the risk of complications. Evidence from recent clinical studies has shown that UCP is an effective treatment for glaucoma, providing 30–35% reductions in IOP for up to 12 months in 65–85% of cases.9,14 Adverse events are typically mild and transient (usually minor inflammation), with vision-threatening complications occurring rarely (in <2% of procedures). Because UCP is a non-invasive and less destructive method of reducing IOP compared with other cyclo-destructive techniques (e.g. 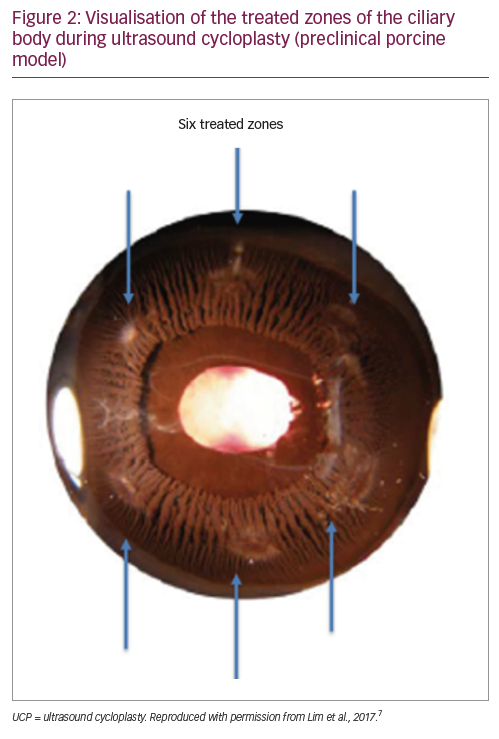 diode laser transscleral cyclophotocoagulation), providing smooth, controlled coagulation of the ciliary body, multiple treatments can be performed on the same patient to increase the likelihood of treatment success without increasing the risk of complications. The data presented here open the perspective for changes in the glaucoma clinical care pathway. While UCP was initially established for the treatment of refractory/advanced glaucoma, the promising efficacy and favourable safety profile observed in 12-month studies in surgery-naive patients with glaucoma (NCT02789293)2,13 suggests that UCP may also be a viable therapeutic option in patients with moderate-stage/non-refractory glaucoma. Future studies may further refine the role of UCP, which could form part of personalised medicine strategies to optimise patient outcomes. Burgess SE, Silverman RH, Coleman DJ, et al. Treatment of glaucoma with high-intensity focused ultrasound. Ophthalmology. 1986;93:831–8. Denis P. Clinical research of ultrasound ciliary plasty and implications for clinical practice. European Ophthalmic Review. 2016;10:108–12. Denis P, Aptel F, Rouland JF, et al. 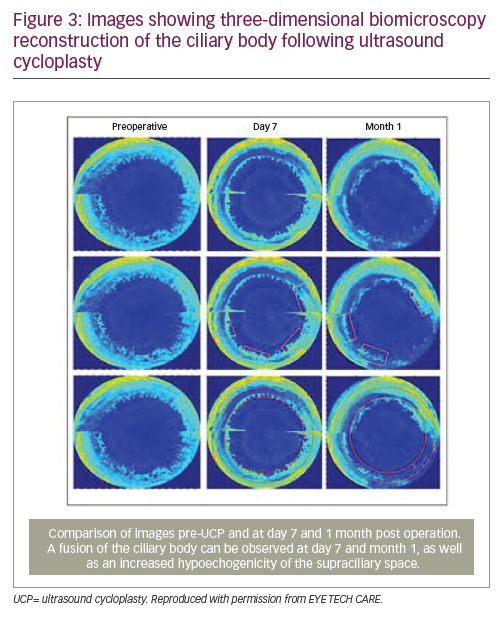 Cyclocoagulation of the ciliary bodies by high-intensity focused ultrasound: a 12-month multicenter study. Invest Ophthalmol Vis Sci. 2015;56:1089–96. Giannaccare G, Vagge A, Gizzi C, et al. High-intensity focused ultrasound treatment in patients with refractory glaucoma. Graefes Arch Clin Exp Ophthalmol. 2017;255:599–605. Melamed S, Goldenfeld M, Cotlear D, et al. High-intensity focused ultrasound treatment in refractory glaucoma patients: results at 1 year of prospective clinical study. Eur J Ophthalmol. 2015;25:483–9. Clinicaltrials.gov. Glaucoma Treatment Using Focused Ultrasound in Open Angle Glaucoma Patients. Available at: https://clinicaltrials.gov/ct2/show/NCT02789293 (accessed 3 September 2018). Lim KS. Ultrasound cycloplasty in glaucoma – mechanisms of action and their possible impact on intraocular pressure. European Ophthalmic Review. 2017;11:35–9. Aptel F, Begle A, Razavi A, et al. Short- and long-term effects on the ciliary body and the aqueous outflow pathways ofhigh-intensity focused ultrasound cyclocoagulation.Ultrasound Med Biol. 2014;40:2096–106. De Gregorio A, Pedrotti E, Stevan G, et al. Safety and efficacy of multiple cyclocoagulation of ciliary bodies by high-intensity focused ultrasound in patients with glaucoma. Graefes Arch Clin Exp Ophthalmol. 2017;255:2429–35. Mastropasqua R, Fasanella V, Mastropasqua A, et al. High-intensity focused ultrasound circular cyclocoagulation in glaucoma: a step forward for cyclodestruction? J Ophthalmol. 2017;2017:7136275. Roquancourt T, Aptel F, Rouland JF. UBM evaluation of mechanisms that drive intraocular pressure (IOP) decrease after ultrasound ciliary plasty (UCP) with high intensity focused ultrasound (HIFU), towards a new explanation of the role of uveoscleral pathway outflow. Presented at the 20th European Association for Vision and Eye Research Conference. Acta Ophthalmol. 2017;95. Aptel F, Charrel T, Lafon C, et al. Miniaturized high-intensity focused ultrasound device in patients with glaucoma: a clinical pilot study. Invest Ophthalmol Vis Sci. 2011;52:8747–53. Aptel F, Denis P, Rouland JF, et al. Multicenter clinical trial of high-intensity focused ultrasound treatment in glaucoma patients without previous filtering surgery. Acta Ophthalmol. 2016;94:e268–77. Deb-Joardar N, Reddy KP. Application of high intensity focused ultrasound for treatment of open-angle glaucoma in Indian patients. Indian J Ophthalmol. 2018;66:517–23. Yi DH, Dana MR. Corneal edema after cataract surgery: incidence and etiology. Semin Ophthalmol. 2002;17:110–4. Figueiredo GS, Kolli SS, Ahmad S, et al. Urrets-Zavalia syndrome following penetrating keratoplasty for keratoconus. Graefes Arch Clin Exp Ophthalmol. 2013;251:809–15.